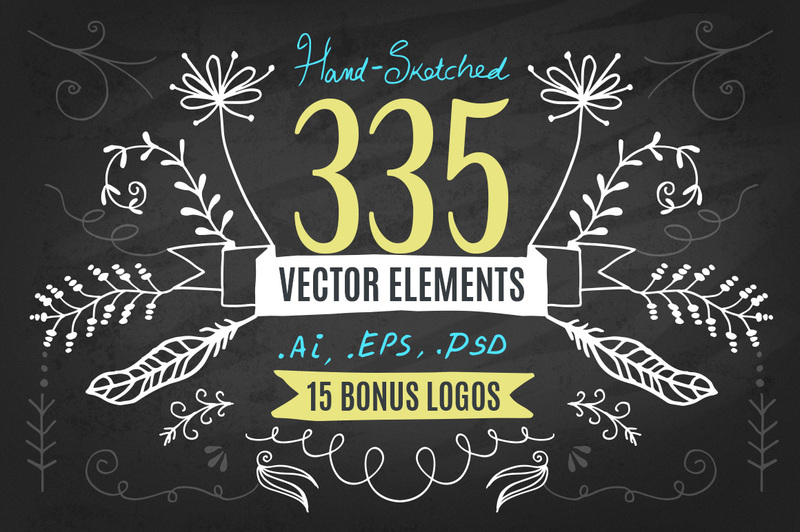 Hand-sketched set of 335 vector individual elements and 15 bonus logos!! 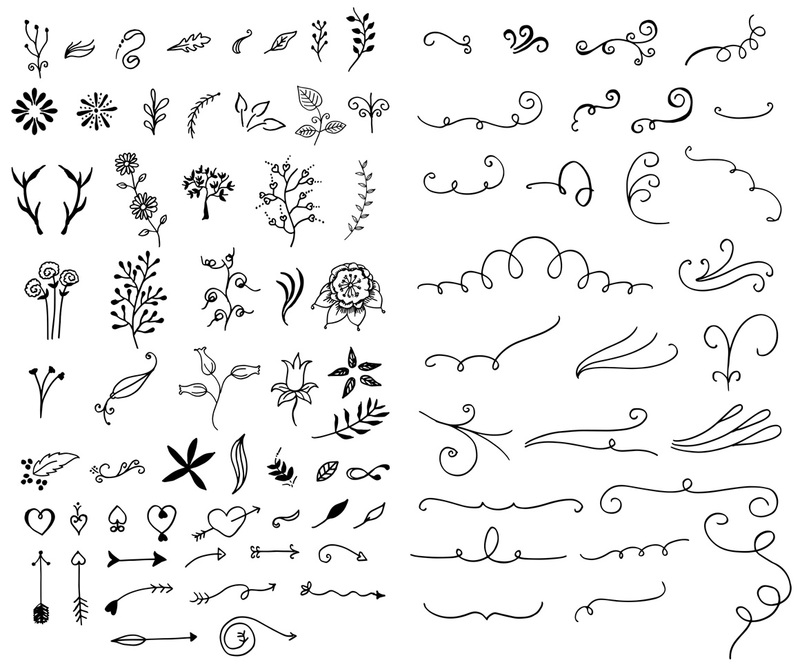 This pack contains various scalable vector elements such as florals, leaves, arrows, branches, ornaments, ribbons and of course hand-written words for various occasions. 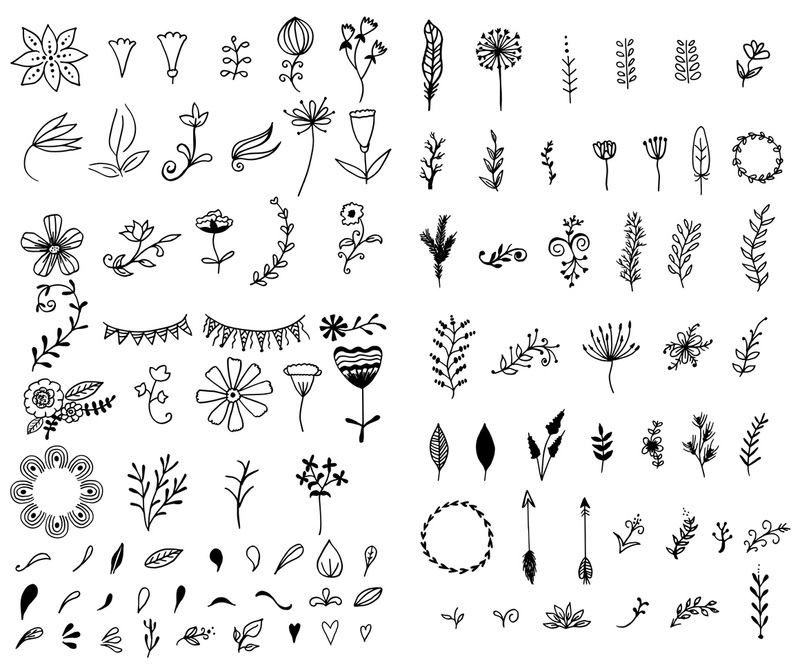 You can use these elements to decorate your graphics, websites or print material. 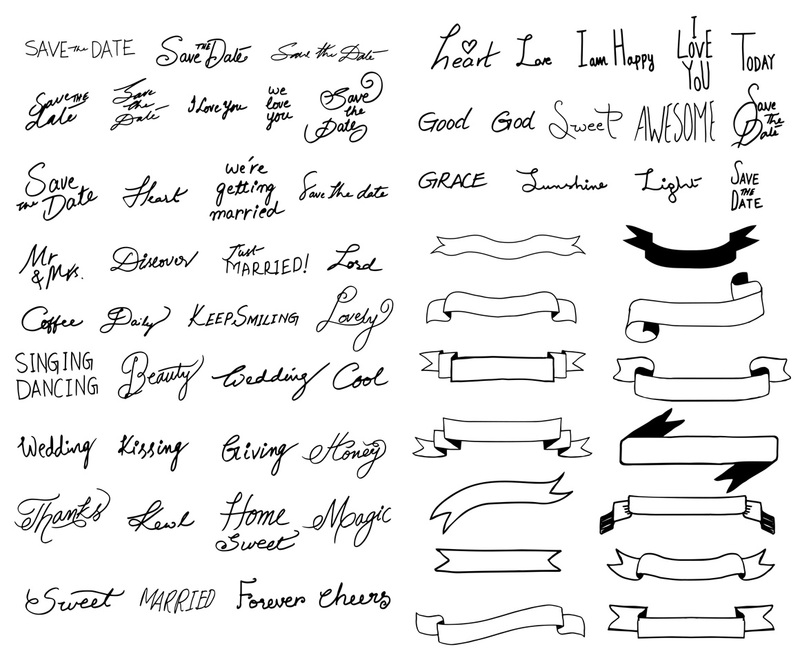 For example, you can use the elements to create a beautiful wedding card or poster. 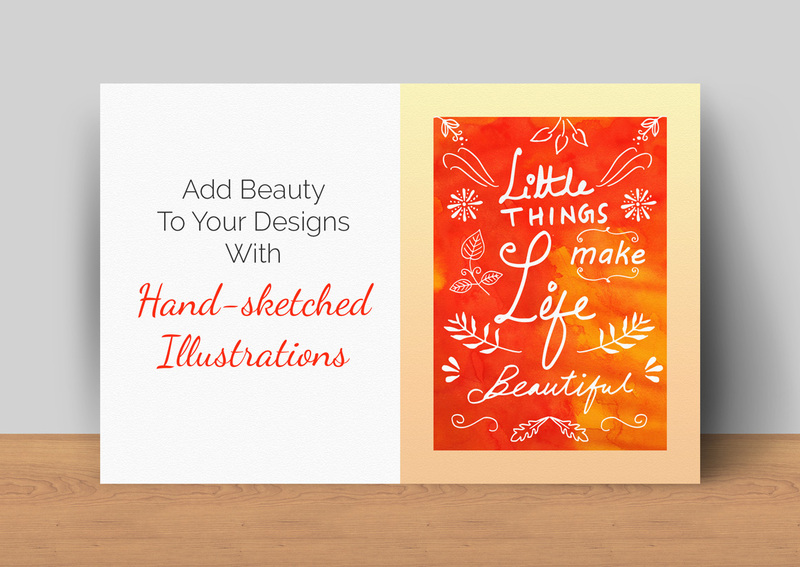 Creative possibilities depend on you!! 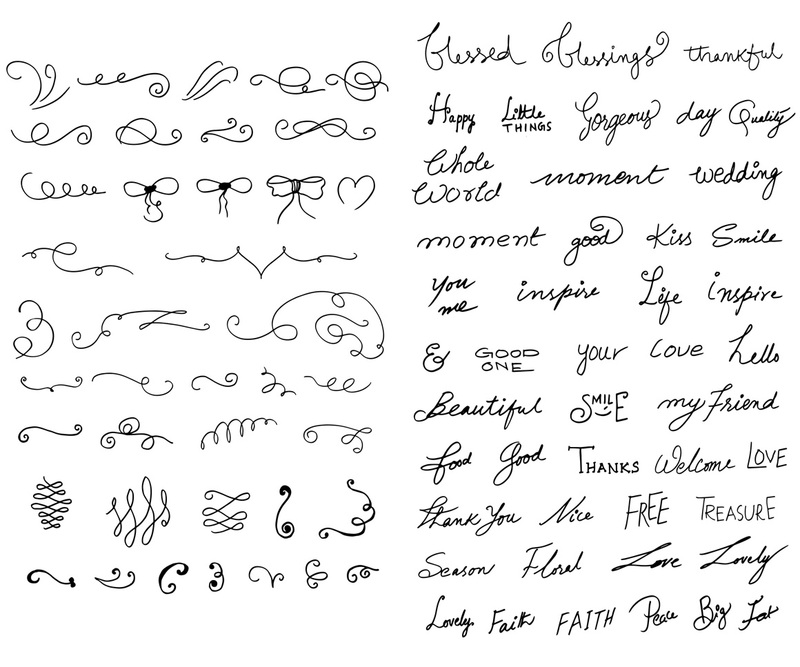 A readme.txt containing the details of free fonts used in creating the logos are included in the download file. Thanks and please do spread the word of this product!